Hello dolls! :) I just want to share my current wants right now. I don’t know but every time I saw wedge shoes, its like I want to buy one of these. :) and I’m thinking what design should I buy for a successful investment. I’m short, so I really need those high heels, but I only have a 5’ foot size which is rare for a type of shoes like these cute wedges! :) I only use doll/flat shoes for casual wear but I own some heels which I only wear for special occasions. 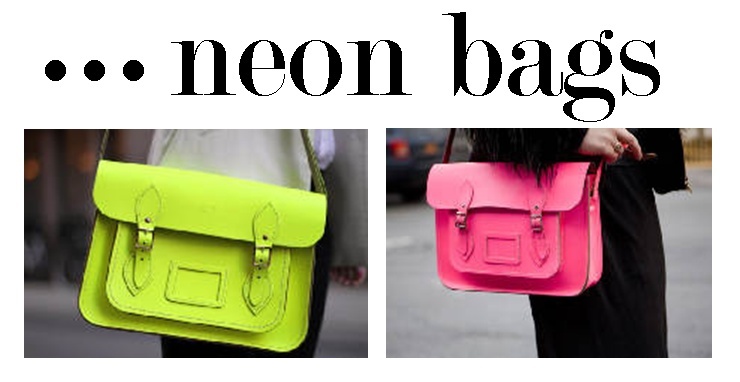 Neon bags! waaaaahhhh. I really want them, I always see nice pictures here on Tumblr, and I already saw them at the mall, too bad it costs almost 50 dollars. Ahhh, too expensive for a one bag. I wish I could have more to buy them online. :/ How I wish. haha. Lastly,floral printed shoes, bags, blouses, and dresses! Waaah. 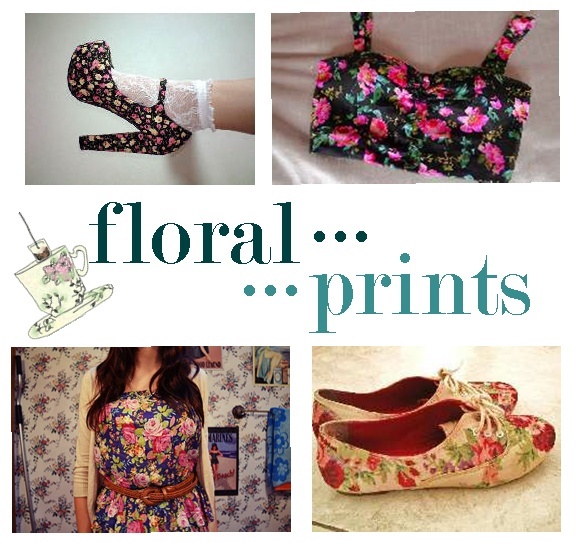 I think floral prints are in the fashion trends right now! :) Can someone give me some floral prints out there? hahaha. C’mon! just for an early Christmas gift. LOL. I’m just joking.